Happy October! 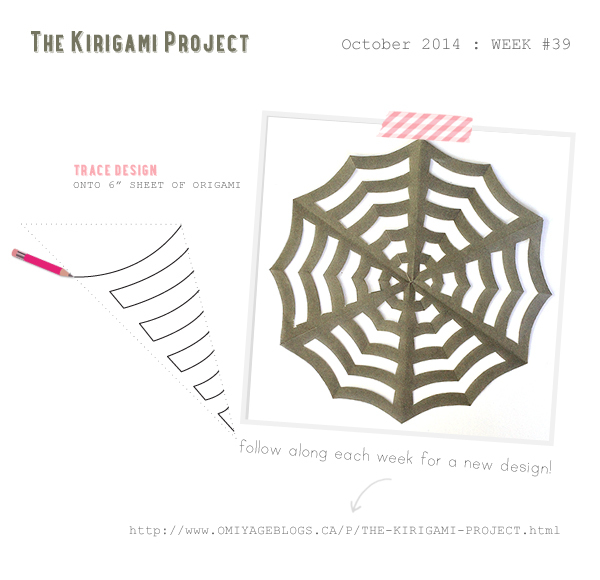 This month's kirigami designs are all about classic Halloween shapes. Cute, creepy and oh-so-clever! Hope you like them as much as we do. 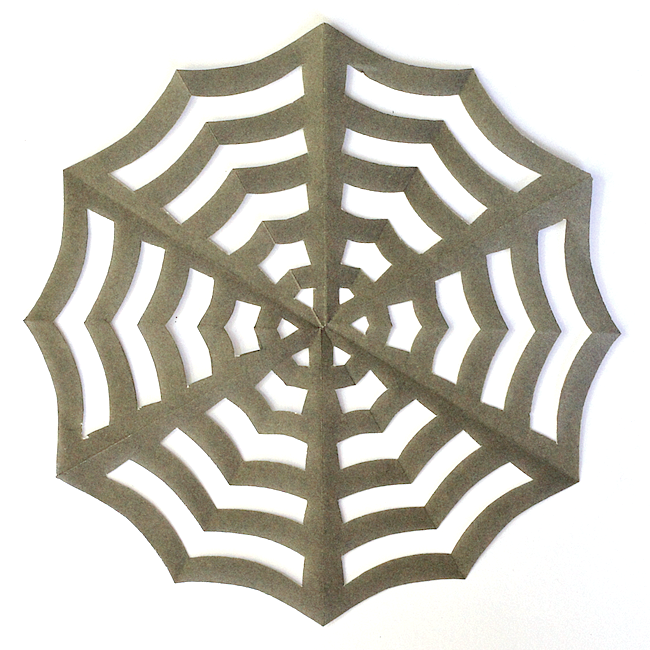 One of the most popular DIY posts we've ever published was our Spiderweb Kirigami. I couldn't resist revisiting it just in time for Halloween - this time resized for standard 6-inch origami paper and including a template. 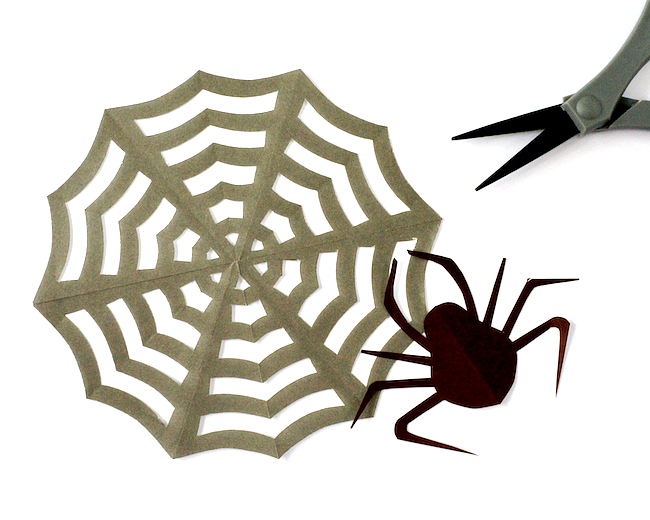 If you're feeling extra spooky, why not cut out a few paper spiders too? 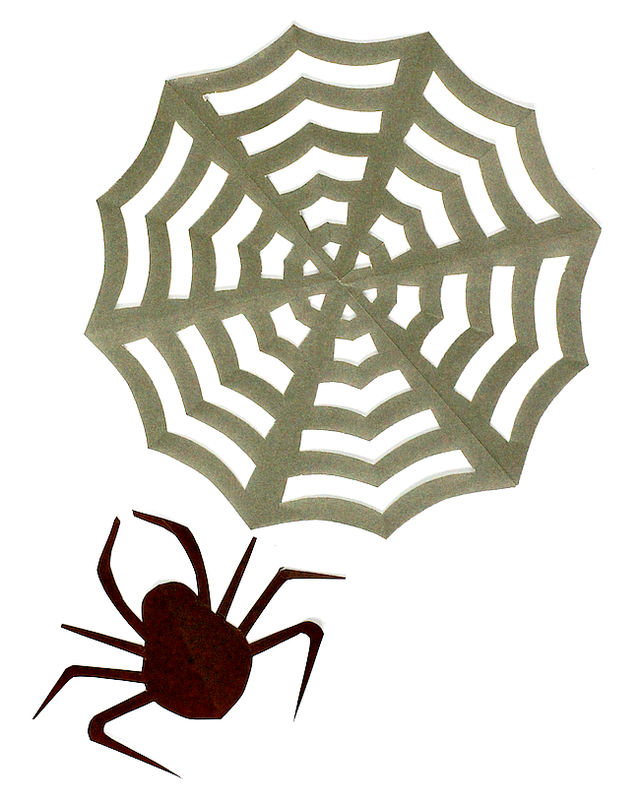 To create your own Spiderweb Kirigami, use the template below and the 6-point folding pattern.